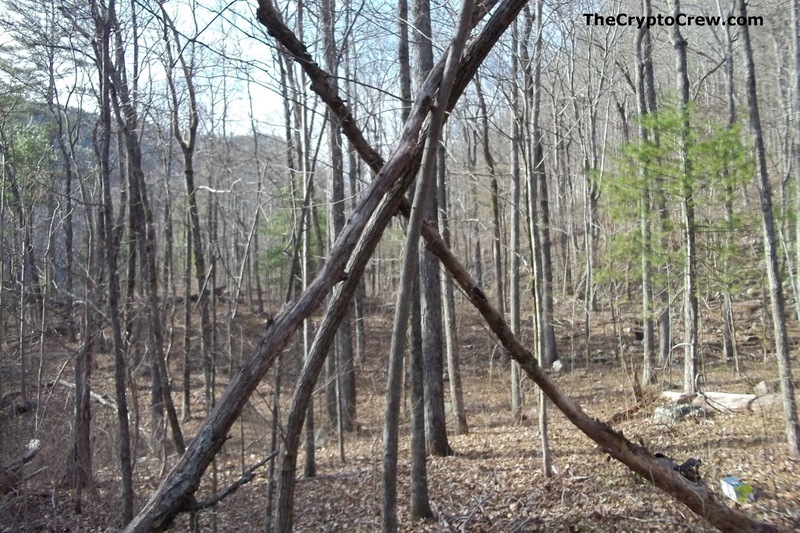 Over the last week or so we have been looking and thinking more about stick formations, so I was happy when I got a new stick teepee photo in my email. The person who send it wants to remain anonymous. 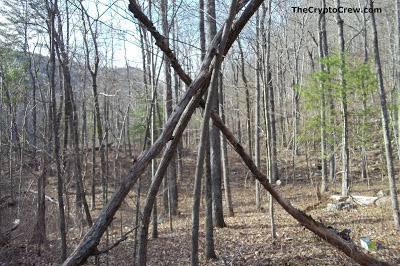 The photo of the stick teepee was taken in Tennessee. The meaning of this type of stick formation is really unknown and range from directions markers to warnings. The person who sent me this also has some other bigfoot activity in the area in the form of wood knocks. 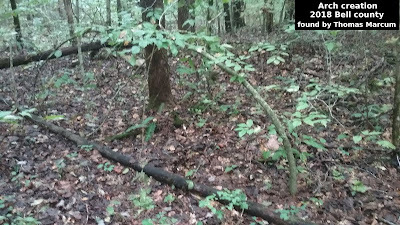 Are These Stick Formations Done By Bigfoot?